Galway estate agent DNG Maxwell Heaslip & Leonard is offering to the market a spacious four bedroom semi-detached house situated on an elevated site in Sceilg Ard, overlooking a green area to the front and Galway city views in the distance. Sceilg Ard is close to the Headford Road retail parks, which house outlets including Dunnes Stores, Tesco, and Woodies, and is a short stroll from Eyre Square and a host of amenities available in Galway city centre. This is a quiet development and number 70 is located to the rear of the development where the estate ends and so would have no through traffic. The property comprises entrance hall, with living room to the left. This is a large, bright, room with feature fireplace, kitchen/dining area and large utility room, plumbed for a washing machine and dryer. The garden can be accessed through the dining room via patio doors or from the utility room. There is a guest wc under the stairs. The first floor comprises four bedrooms, main bathroom and one en suite. According to selling agent Kyle O’Brien, this is a "superb property in an ideal location and is within walking distance of all amenities. "I would strongly advise anyone looking for a starter home or shrewd investment property to arrange a viewing as soon as possible." 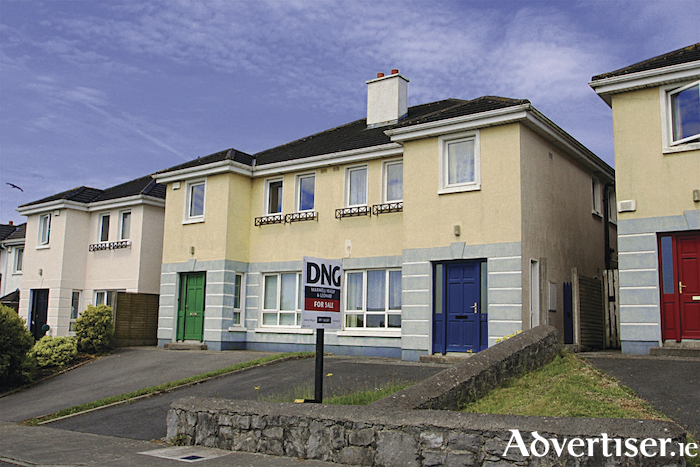 Viewings can be arranged by contacting DNG Maxwell Heaslip & Leonard on 091-565261.